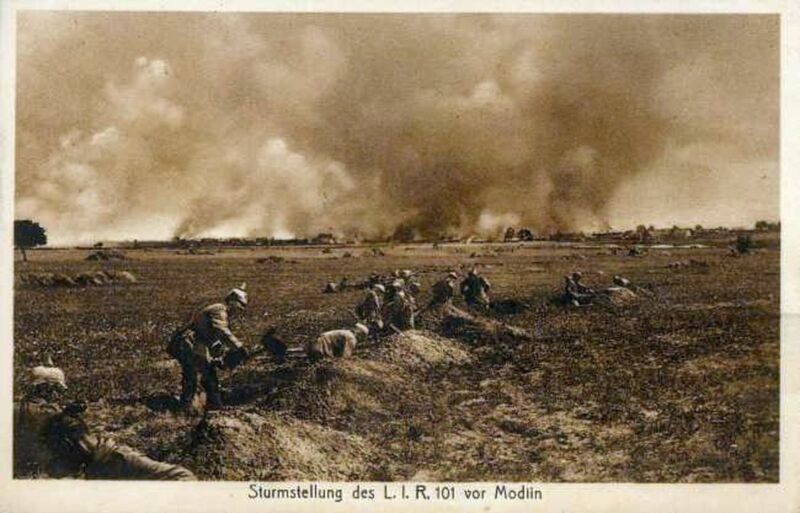 The spark that ignited World War One was struck in the Balkans. Bosnian-Serb student Gavrilo Princip assassinated Archduke Franz Ferdinand, heir to the throne of Austria-Hungary, and his wife in Sarajevo, Bosnia, lighting the fuse to the powder keg that was early twentieth century Europe. Despite this and the fact that the Allies had their first real success against the Central Powers in the Balkans, the fighting in the region of Southeast Europe is not well-known. The tensions that exploded when the Archduke was assassinated had been brewing for years. 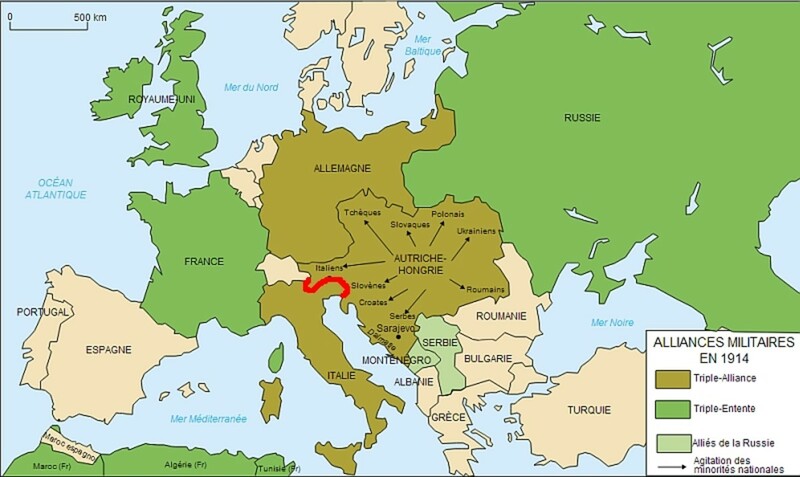 In 1908, Austria-Hungary had annexed Bosnia-Herzegovina on Serbia's northwest border from the failing Ottoman Empire. Serbs made up a substantial ethnic group and Serbia wanted to annex Bosnia herself. 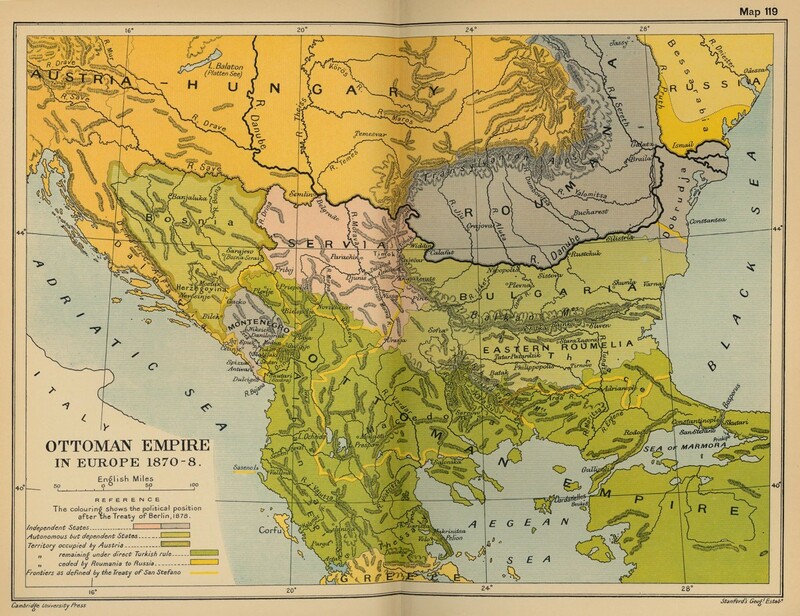 There had already been two wars fought in the Balkans in 1912 and 1913. The first, in 1912, had pitted Serbia, Bulgaria and Greece against the Ottomans, ostensibly to liberate Christian peoples from the Muslim Turk rule and, not incidentally, to enlarge territories under their control. 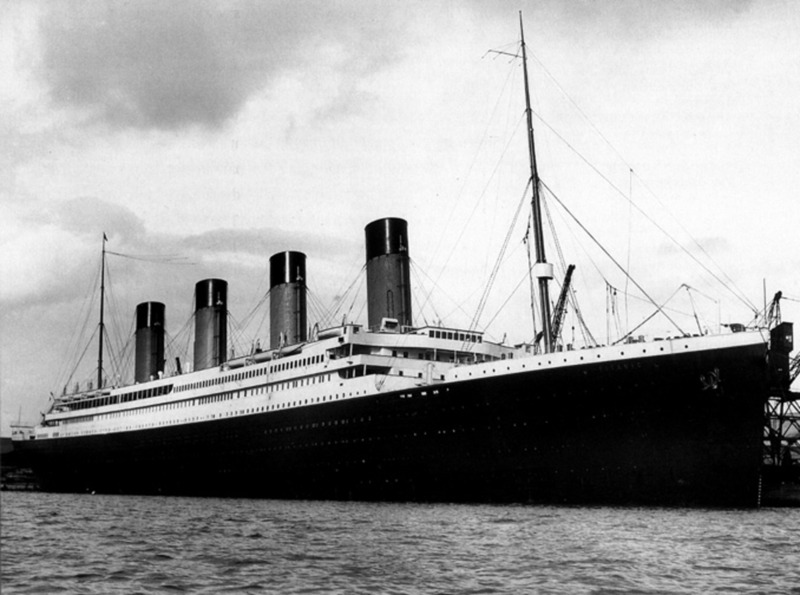 In 1913, Bulgaria, displeased with her spoils from the 1912 war, attacked her former allies, Serbia and Greece. The Bulgarians were pushed back into their own territory and then set upon by the Ottomans and Romanians. When the fighting stopped, Bulgaria had lost nearly all her 1912 gains. This would be a major factor in Bulgaria joining the Central Powers in the coming conflict. On July 28, Austria-Hungary declared war against Serbia and started shelling its capital Belgrade on Serbia's northern border with Austria the next day. The Austrians numbered about 270,000 men while the Serbs fielded about 180,000, though many were battle-hardened from the Balkan Wars. 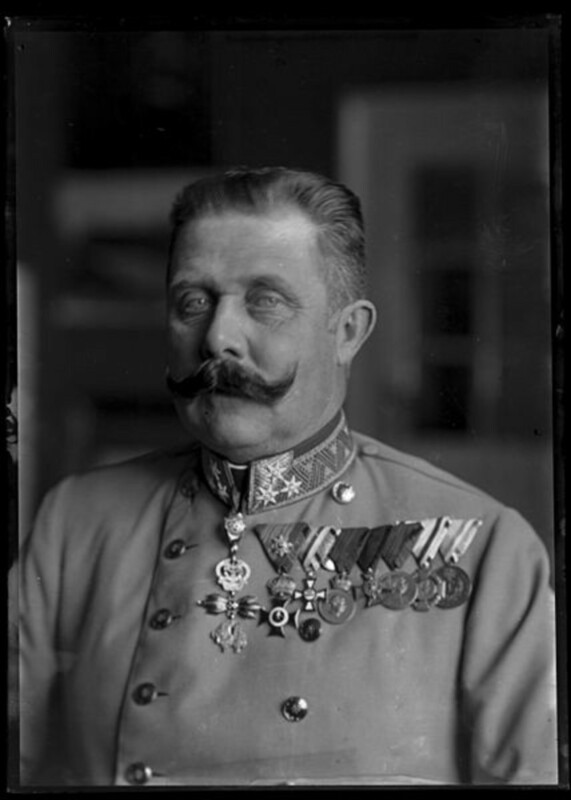 In August through December, the Austrians launched three offensives against the Serbs and, though the Serbs had to retreat from Belgrade, they managed to push the invaders back and regained their capital. By the end of the year, the Austrians were back in their own territory. Late in 1915, Germany convinced Bulgaria to enter the war on the side of the Central Powers. With Bulgaria as an ally, the Germans were able to use her railways to support the Ottoman Turks who were having a rough time in the Mideast. 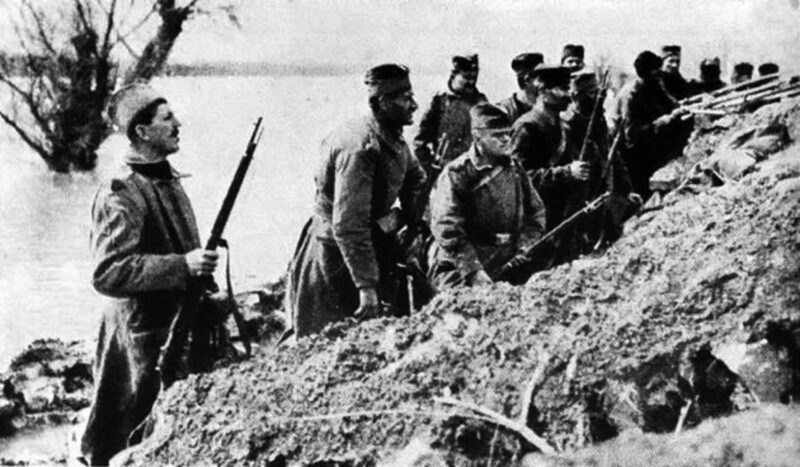 The Bulgarian Army, along with a German Army and an Austro-Hungarian Army, prepared for a major offensive against the Serbs. 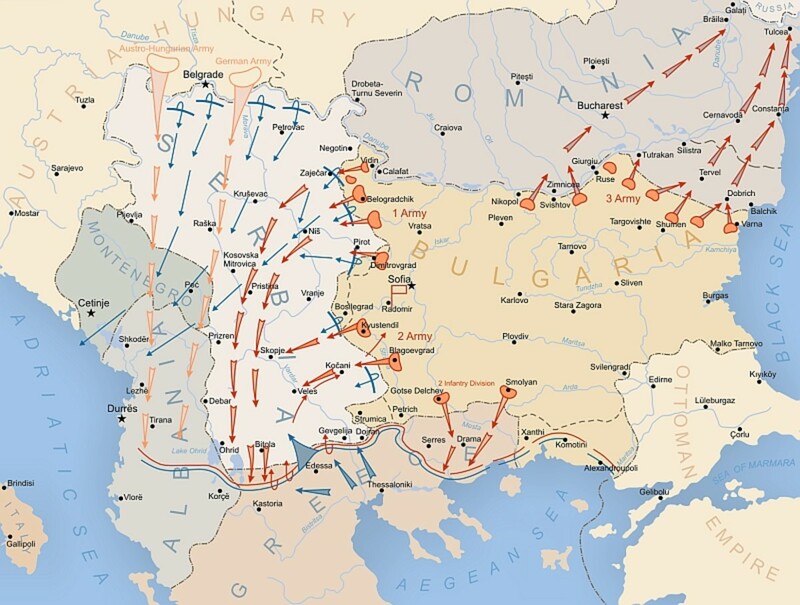 In October, the Germans and Austrians attacked Serbia from the north and the Bulgarians attacked from the east. 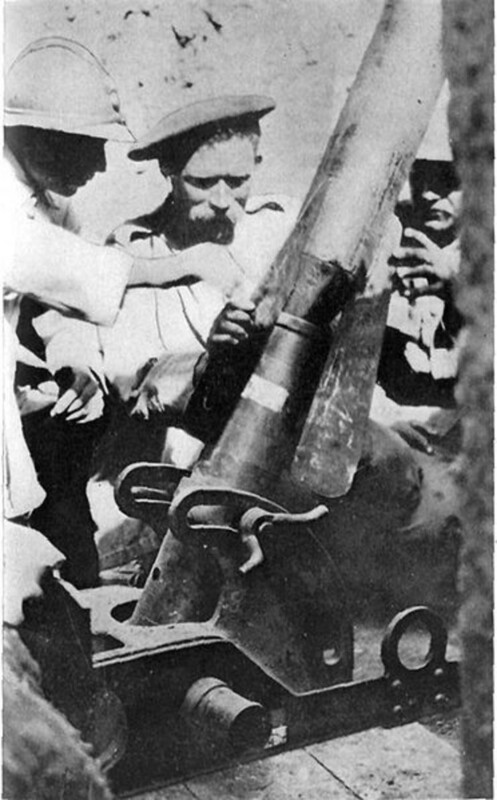 Alarmed, the British and French managed to negotiate with neutral Greece and landed troops at Salonika, Greece, hoping to drive north into Bulgaria in order to relieve the pressure on the Serbs, but the Bulgarians held them off, roughly along the lines of the Greek border, and the Serbs were driven steadily back by the three Central Power armies. The Bulgarians wanted to drive the Allies out of Greece, but the Germans held them back, still hoping to entice Greece to join the Central Powers. This would prove disastrous in 1918. 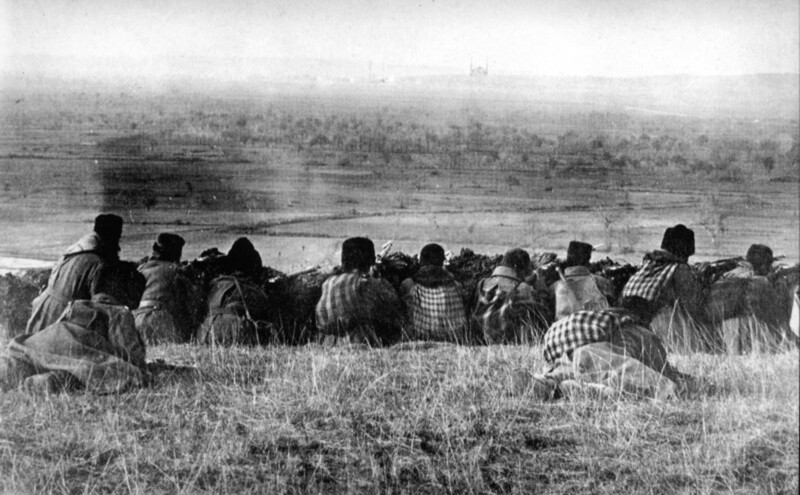 The Great Serbian Retreat began. The remnants of the entire Serbian Army, the Serb King and many civilians made their way west over the Albanian mountains in the dead of winter. The old men, the Cheechas, manned the artillery and held up the advancing armies so the younger troops could escape. Allied ships did manage to meet and transport the Serbs to Corfu, a Greek Island just off the southern Albanian coast. The victorious Central Powers occupied Serbia, but the Serbian Army still existed. In June, the Greeks entered the war for the Allies. After a prolonged buildup, a combined Allied Army of French, British, Greek units and the Serbian Army transported from Corfu to Salonika, attacked north from Greece in September. The Bulgarians were thrown back and sued for peace and the Allies continued north, pushing back the the Germans and Austro-Hungarians until Serbia was liberated in October. The Allies were preparing to invade Hungary when the Armistice was signed on November 11, 1918. No doubt the scale of fighting and casualties on the other fronts is a major factor in the lack of interest in the Balkan Front. In addition, prejudices also play their part; the region had and has a reputation of instability, being as it was the fault line between two crumbling empires, the Austro-Hungarians and the Ottomans and two religions, Christianity and Islam. It was Otto von Bismarck of Germany who prophesied that a great European war would be set off by “some damn foolish thing in the Balkans”. And so it came to pass. The Balkans lit the fuse, descended into hell and few seem to care or notice what happened there. The region, even today, suffers under a veil of obscurity except when atrocities occur, fueled by the very history the world ignores. Serbia lost 275,000 soldiers killed and 130,000 wounded, with 150,000 civilians killed in the fighting. Including deaths from famine and disease, the Serbians lost 16% of their population in the war. Greece lost 26,000 soldiers killed and 21,000 wounded. Austria-Hungary lost 1.1 million soldiers killed and 3.6 million wounded. About 120,000 civilians died in the fighting. Bulgaria lost about 87,000 soldiers killed and 150,000 wounded. Germany lost about 2.1 million soldiers killed and 4.2 million wounded. Only about 1,000 civilians died in the fighting. The Ottoman Empire lost about 770,000 soldiers killed and 400,000 wounded. What World War 1 events occurred in 1918? After a prolonged buildup, a combined Allied Army of French, British, Greek units and the Serbian Army transported from Corfu to Salonika, attacked north from Greece in September. 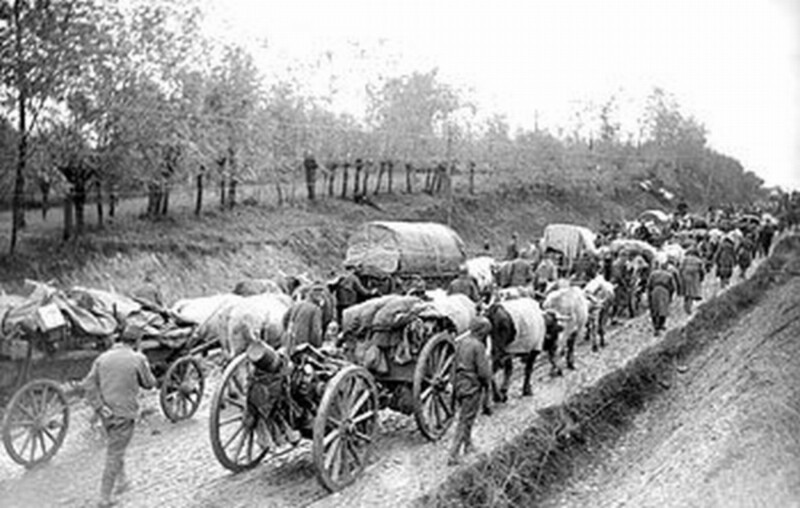 The Bulgarians were thrown back and sued for peace, and the Allies continued north, pushing back the Germans and Austro-Hungarians until Serbia was liberated in October. 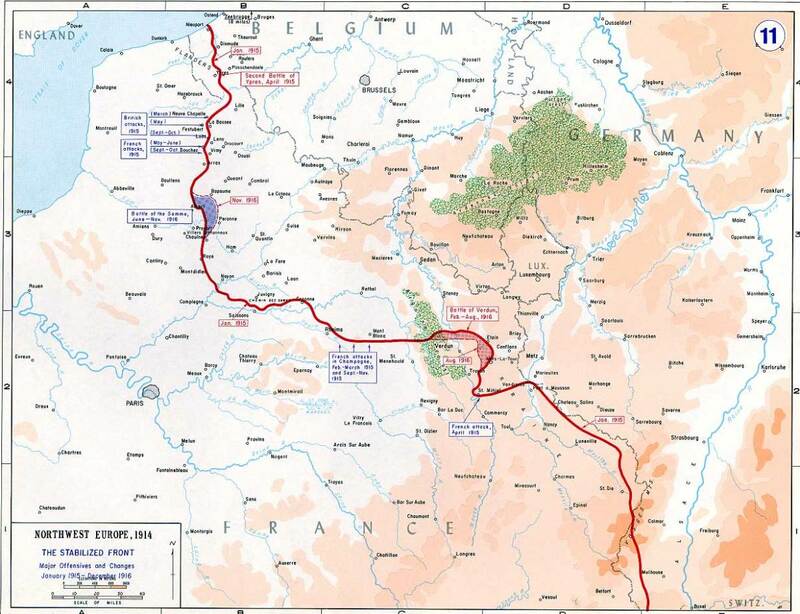 The Allies were preparing to invade Hungary when the Armistice was signed on November 11, 1918. In which year was the Balkan front? Fighting along the Balkan Front started on the first day of the war (July 28, 1914) and continued until the last day (November 11, 1918). The Balkan Front existed longer than any other front (including the Western Front). I meant to add, nenytridiana, that, in my opinion World War 2 was definitely a resumption of WW1. Aside from a few countries (like Italy, Japan, etc) switching sides, the same countries faced off in WW2. The Treaty of Versailles, which ended WW1 treated Germany so harshly, virtually assured a second war. Glad you enjoyed it, stereomike83. 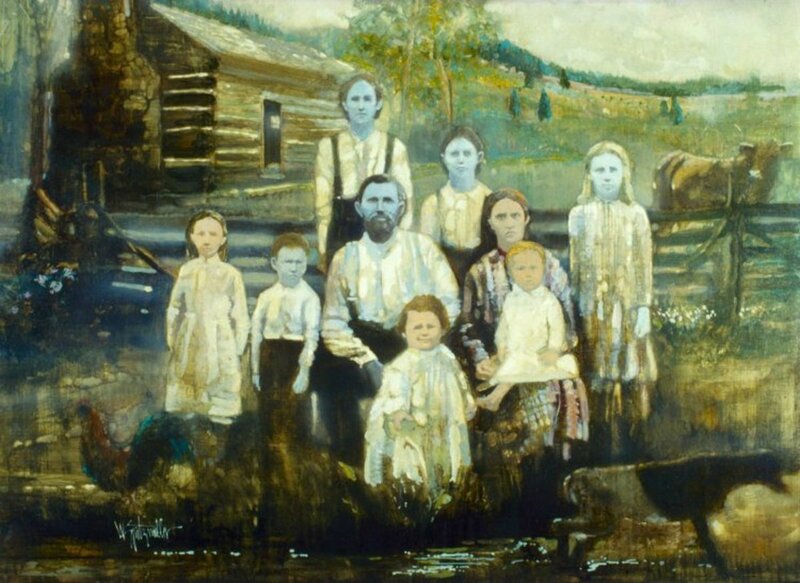 I learned a lot researching this piece. As I noted, 16% of the entire Serbian population died during the war-- higher than any other belligerent. In fact, as many 1,250,000, or 28%, may have been killed. Fascinating read! I'd never really thought about the fact that despite the war starting in the Balkans, I'd never really heard of any subsequent fighting. Well, as bad as World War 1 was, more people were killed in World War 2 and more countries were involved. On the other hand, Both Britain and France, for example, suffered higher casualties in WW1 and the battles (Verdun, the Somme, Passchendale, etc) were bigger than their engagements in WW2. The land war in WW2 fought between Russia and Germany was unprecedented in size. Thank you very much for your interest. Which one was the bigger war, WW1 or WW2, base on number of countries that involved? Were the two World war connected (WW1 was continued to WW2)? I got to check your other hubs to find out the answer. I have seen many of your hubs are about the war from the past. Interesting! Thank you UnnamedHarald. Sorry, josh3418, somehow I missed your comment of two days ago. My apologies. Thanks for taking the time to read and comment-- and especially share. Glad you enjoyed it. josh, I thank you for reading and commenting-- and sharing. It's always a pleasure when people enjoy what we've written. Thanks, Old Albion. What I couldn't get over was the percentage of Serbs who died during the war- 16% of the total population. And, of course, it was no picnic for any of the nations involved. Great hub, informative and well-written! Hi UH. Yet another first class hub. Your video and photographs say it all. I am sure it will bring home the true horror of war to many people who may have just a passing interest in past wars and history.